1. 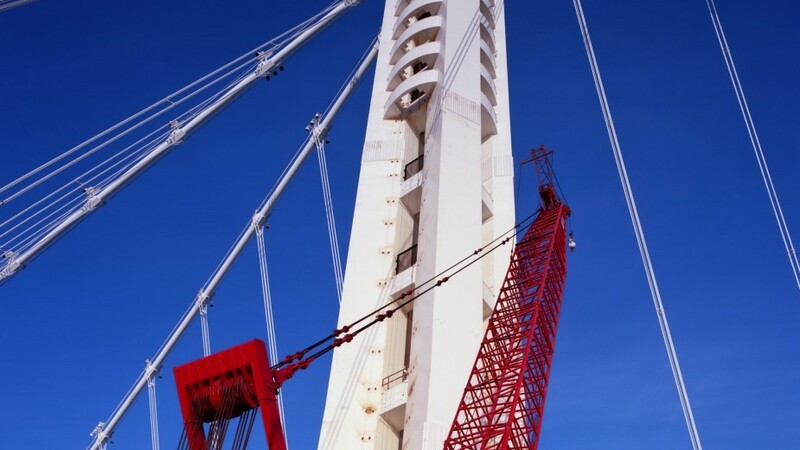 Steel rods inside the main tower of the new Bay Bridge are riddled with tiny cracks and at least one of them snapped from “fast brittle fracture” during a test, the Chron reports. Caltrans officials are now saying that some or all of the four hundred rods inside the tower may need to be replaced. The rods have been exposed to rain and salt water because of shoddy workmanship and a failure to properly seal the structure. 2. The City of Berkeley has officially concluded in an inspection report that the apartment building balcony that collapsed last week and killed six people was inundated with dry rot, the Bay Area News Group$ reports. The dry rot likely was caused by a failure to properly waterproof the wooden structure. City officials plan to recommend changes to Berkeley law that would require tighter inspections of balcony construction. 3. A landmark aid-in-dying bill may fail to gain approval in the state Assembly because several Latino lawmakers oppose it on personal religious grounds, the Chron reports. The Catholic Church has been one of the most vocal opponents of the bill, which would allow physicians in California to help terminally ill patients end their lives. 4. Homegrown terrorists have killed far more Americans than Muslim extremists have since 9/11, The New York Times$ reports, citing a new study from New America, a Washington, DC research center. In addition, law enforcement officials throughout the United States say they're much more concerned with anti-government extremists than with foreign-born terrorism. 5. Major retailers, including Walmart, Amazon, Sears/Kmart, and eBay have decided to stop selling Confederate flag merchandise in the wake of the mass killing of nine Black people last week by a white supremacist in South Carolina church, The New York Times$ reports. 6. A judge has blocked a virulently anti-gay ballot initiative from being circulated in California, saying it’s patently unconstitutional, the Chron reports. The measure calls for the execution of gays and lesbians. 7. And Bay Area residents now say the drought is the most important issue facing the region — ahead of the high cost of housing and crime, the Chron reports, citing a new poll by EMC Research.